Fundraiser by Stan Keable : H&F Council: Reinstate Stan Keable! H&F Council: Reinstate Stan Keable! On May 21 2018, I was dismissed from my job with Hammersmith and Fulham Council after 17 years unblemished service as a housing enforcer, for having “brought the Council into disrepute”, by saying that the Zionist movement collaborated with the Nazi regime - a well documented if shameful historical fact. I said this on March 26, in a conversation in Parliament Square - nothing to do with work - while participating in the Jewish Voice for Labour demonstration in support of Jeremy Corbyn and the Labour Party, called in opposition to the rightwing 'Enough is Enough' demonstration. Unison has withdrawn support because I rejected the bad advice of their regional organiser to plead guilty, throwing away the right to demonstrate and to freedom of speech - so I need funds for a barrister and potential legal costs to challenge my political victimisation at an employment tribunal, as well as for campaigning for reinstatement. 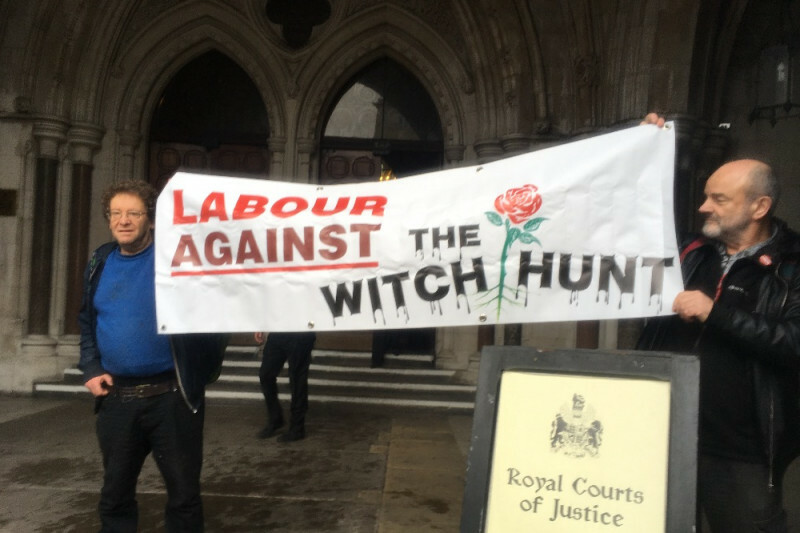 Unison are not supporting me, so I have set up crowdfunding, for potential legal costs as well as campaigning costs, with any remains funds to go to Labour Against the Witchhunt. Hammersmith & Fulham Council have declined my request for conciliation through Acas, so I am now preparing for an employment tribunal, with a pro bono barrister and a ‘no win, no fee’ solicitor - but if I lose the case I will be liable for the employer’s costs. My appeal against dismissal for comments made on a demonstration in Parliament Square - nothing to do with work - has been rejected. Next stop is conciliation through ACAS, which is a pre-condition for an employment tribunal application. The negative outcome of my appeal puts the Council’s ‘Equality, Diversity and Inclusion Policy’ and its ‘Code of Conduct for Employees’ above the human rights to freedom of assembly and expression, and ignores my assertion that I have been directly discriminated against and victimised for my anti-Zionist belief, in breach of the Equality Act 2010. The struggle continues - for the rights of all employees to demonstrate, and to express views with which their employer may disagree. Please support my appeal for finds for campaigning and for potential legal costs (GoFundMe.com/ReinstateStanKeable).